One of The Muzzle Up! Project’s goals is erasing the stigma associated with muzzles. While it’s difficult to find research studies focused on human perceptions of muzzled dogs and how that affects our behavior, I fortunately came across an interesting study published in the Journal of Veterinary Behavior: Clinical Applications and Research in 2009. The study observed the behavior of adults who came within a specific distance of a man walking a German shepherd dog, both when the dog was wearing the muzzle and when the dog was not wearing one. 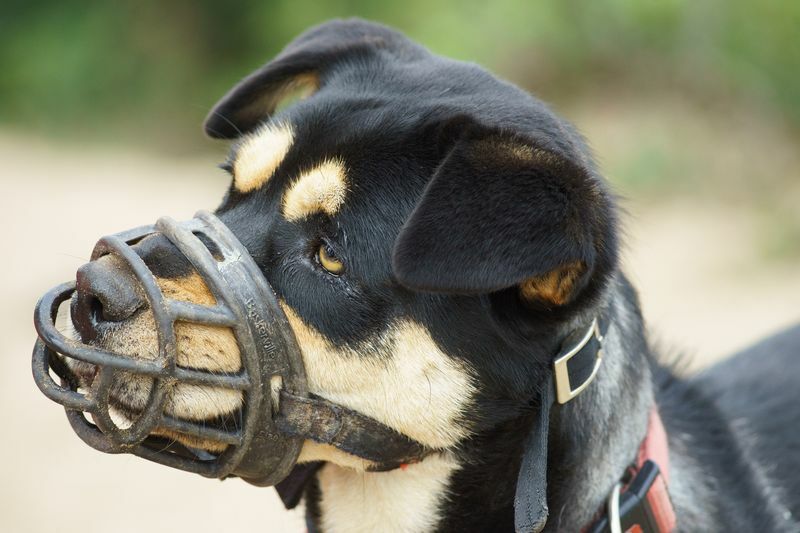 The results showed that the muzzled dog elicited more fear-based behaviors in humans. The study also found that the people who encountered the muzzled dog moved away from the dog to avoid him and also turned around to look at the dog once they passed him, indicating fear and hypervigilance. “This study suggests that, paradoxically, a muzzled dog is considered as more dangerous by humans than a non-muzzled dog, whereas only the latter can be a real source of danger,” write the authors. Maureen is the founder of The Muzzle Up! Project and the owner of Mutt About Town in San Francisco, CA. Get in touch at muzzleupproject@gmail.com. Previous Post: Nuzzle a muzzle!